Welcome to day 4 of 31 days of All Things Home! 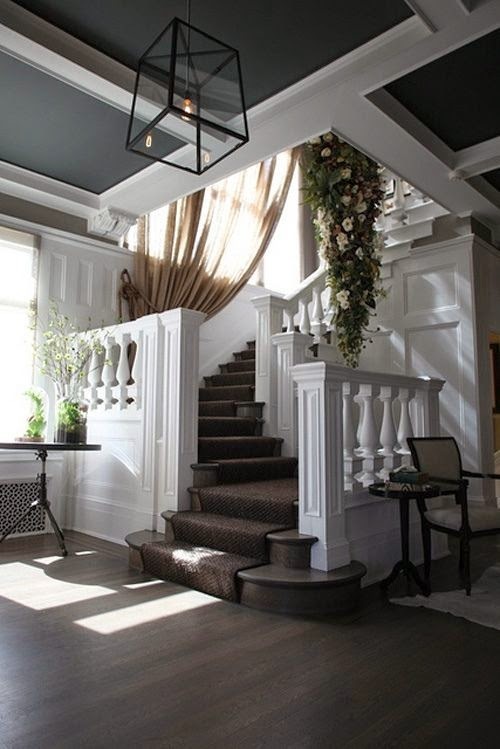 Today we're going to talk about painted ceilings. Here's the thing. 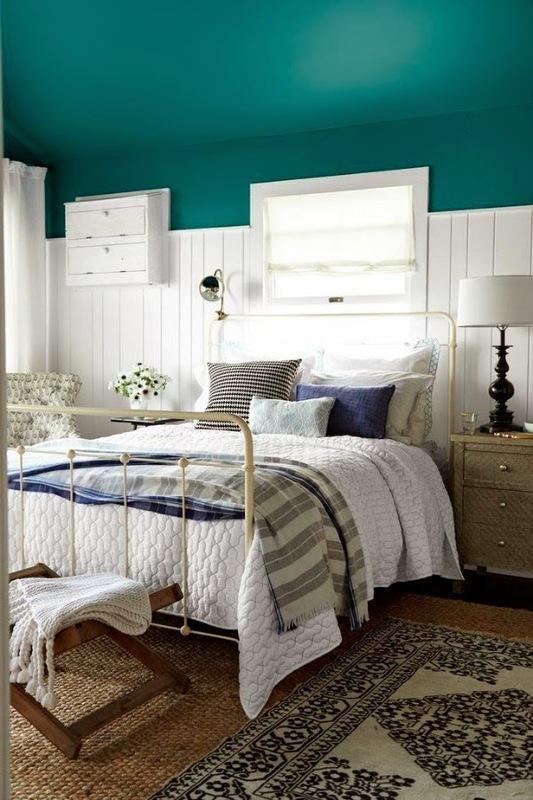 My daughter is in LOVE with the color turquoise...or aqua...or any of those greeny-blue colors, and really wants to base her new room decor on that color. That's fine with me. I have no issues with greeny-blue colors. What I am concerned about, however, is painting an entire room a greeny-blue color. But today, I hit on an idea. Paint. The. Ceiling. 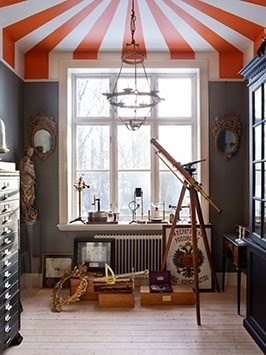 Although I doubt I'd do anything quite this bold, this has to be one of my favorite ceilings. 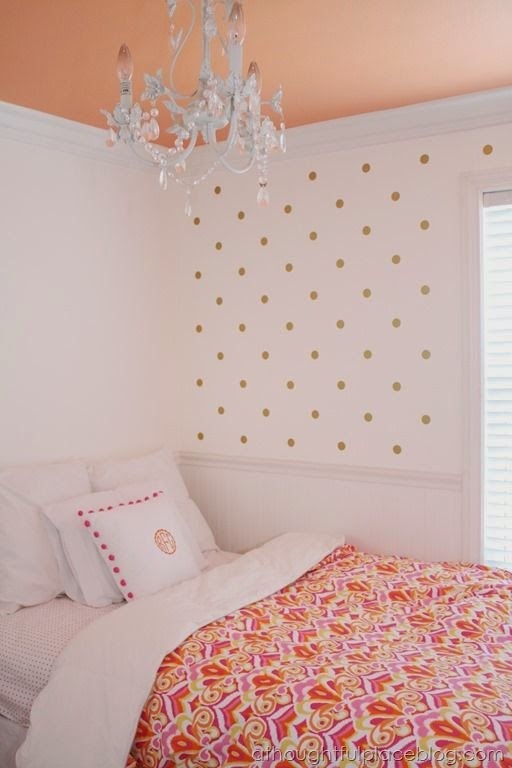 It'd be perfect for a kid's room! Bold and dramatic. I am absolutely smitten with this ceiling! This soft peach is such a pretty addition to this space. I'm thinking we'll probably end up with a ceiling something similar to this below. I can handle that. Oh I love a pretty ceiling. The coiffured ceiling is stunning.